Is your upholstery in need of a little professional attention? Even the most stubborn stains and odors are no match for the professionals at A Step Above Cleaning Services. We can clean, restore and protect even your most delicate upholstery. We know clean. We have the in-depth knowledge it takes to achieve an exceptional clean while protecting the color and texture of your upholstery. We use the highest quality products and industry-leading techniques to eliminate even the toughest stains and odors, restoring your upholstery to its original beauty. When you hire us you can expect superior customer service. Your sofas, armchairs, dining room chairs, and other furniture deserve the very best care and maintenance, just like our carpet cleaning service delivers. 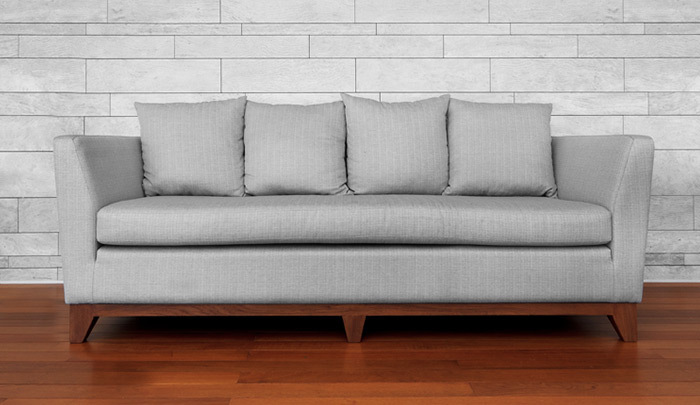 Children, pets, even everyday use can be rough on your furniture investment. Regular cleaning can restore the original cleanliness and beauty of your furniture. Since furniture fabric types can vary from manufacturers, trust our expertise in identifying the best method to clean and deodorize each piece. You and your family will be amazed by the results. We can also clean and condition your leather upholstery to help prevent drying and cracking with age. Our technicians are extensively trained and exude professionalism and attention to detail. You’ll get outstanding results backed by a solid commitment to your total satisfaction. Don’t put up with that dingy, stained upholstery for another day. Call the experts at A Step Above Cleaning Services today to schedule your upholstery cleaning services.